Pre-Order the Book and Save! The New Money Mission is now available for pre-order. Protect yourself from the 5 financial thieves. Finally find peace of mind for your money. Discover what’s driving this mission and pre-order The New Money Mission today. Subscribe to The New Money Mission for instant updates and also receive free resources and eBooks about how to discover your Rich Life and build your financial foundation. Want to learn how to protect your financial future? Join the newsletter (it’s free) and get exclusive content. 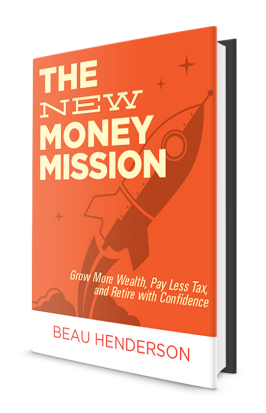 Hi, I’m Beau, and I’m the author of The New Money Mission. My goal is to help you move toward your Rich Life, and to help you create a strong financial foundation for your future. Click here to learn more.